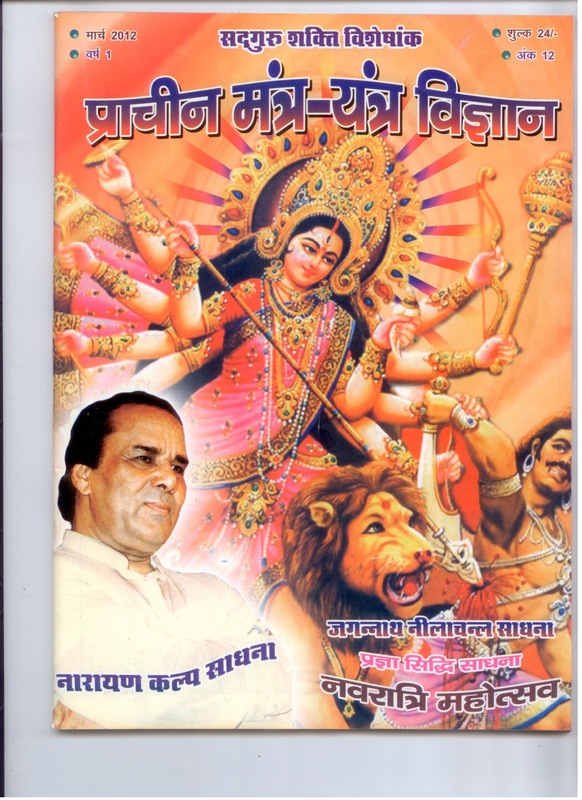 Revered Gurudev always strived to shatter all myths, taboos and misconceptions related to the ancient Indian sciences and instill faith and respect for them in the mind of the common man. With this aim he launched a unique magazine "Mantra Tantra Yantra Vigyan" in 1981. 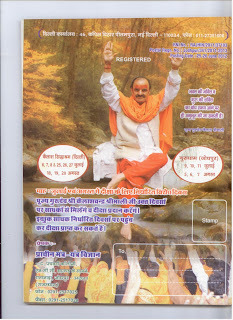 The new magazine "Pracheen Mantra Yantra Vigyan" was started in April 2011 to replace "Mantra Tantra Yantra Vigyan". 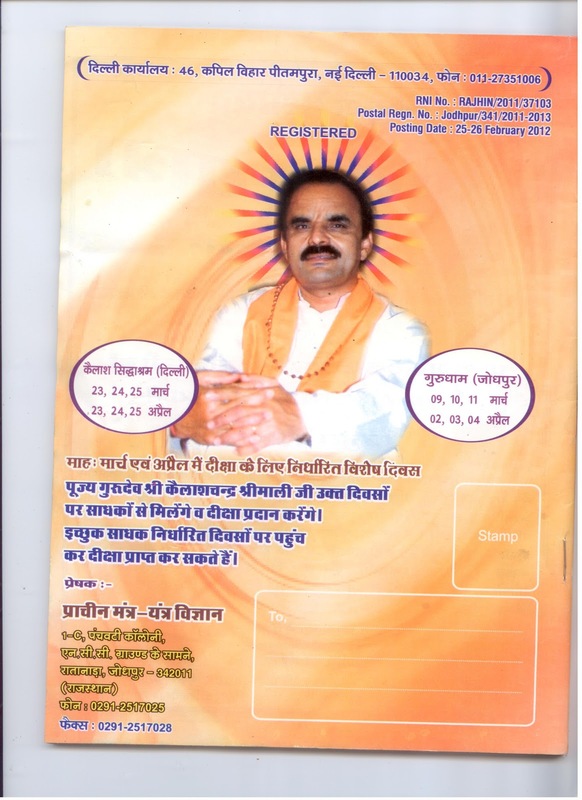 Ever since its conception the monthly has been dedicated to revealing the knowledge and wisdom of ancient Yogis and Rishis. It opens the gate to the amazing world of Sadhanas, Astrology, Ayurveda, Alchemy, Numerology, Palmistry, Hypnotism, Mantras, Tantra and Spiritualism . 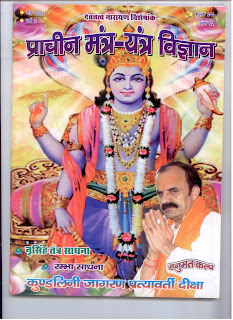 The magazine by propagating true and authentic knowledge aims at banishing misconceptions and fears regarding the ancient Indian knowledge of the spiritual world. 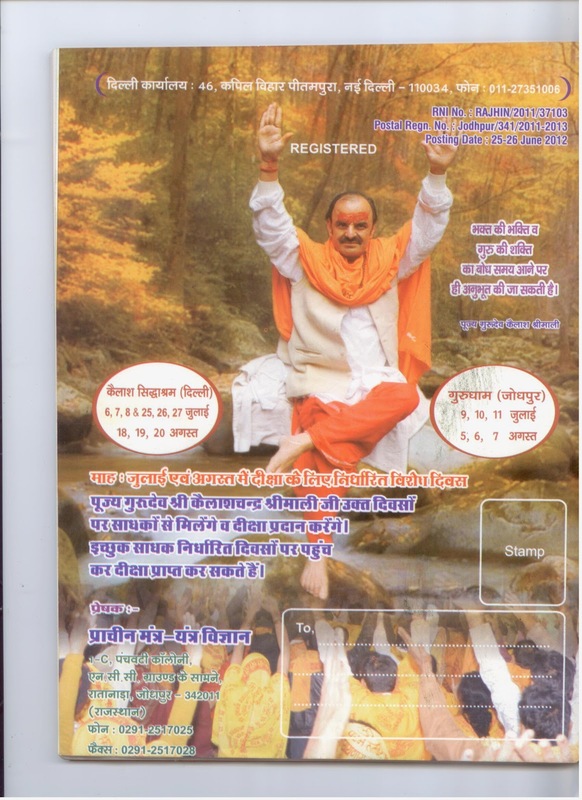 The magazine carries wonderful Sadhanas every month which can be performed in special auspicious moments in that month for gaining solutions to the various problems of human life. 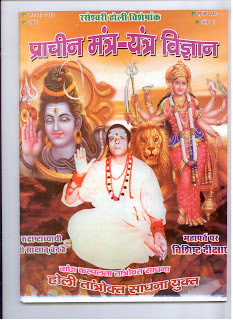 Powerful Mantra practices based on the Vedic knowledge are revealed which could help the common man to overcome tensions, diseases, adversities, poverty and enemies. 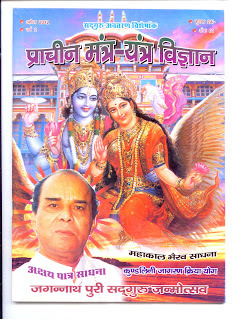 Thousands of readers have been initiated into the field of Sadhanas through this powerful medium. 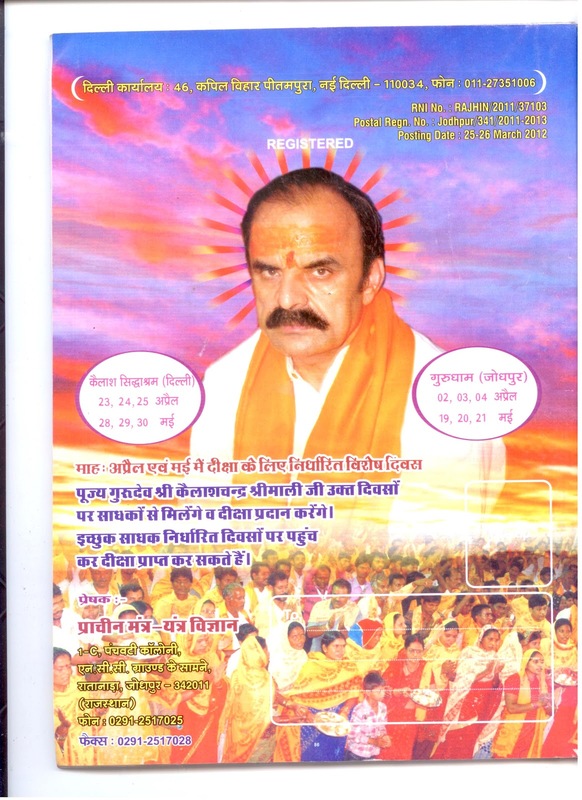 The magazine also carries the divine experiences of Sadhaks and disciples who have tried Sadhanas and benefited through them. 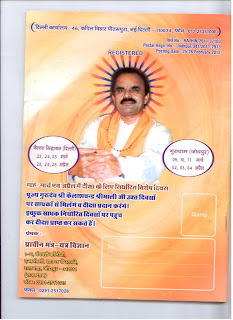 Besides it gives valuable information related forthcoming Sadhanas camps and the monthly astrological forecast. 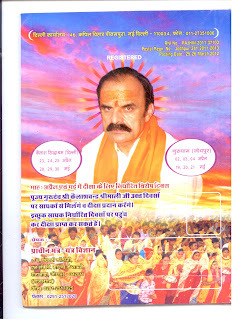 The most precious part of the magazine is very special features based on Revered Gurudev's discourses which deal with the problems faced by Sadhaks during Sadhanas, and dwell on the intricacies of the world of spiritualism. Needless to say these words of Gurudev have helped several lost, troubled souls to find a new ray of hope in their lives. In the new millennium the magazine aims at providing fast and quick solutions to all problems of modern human life. 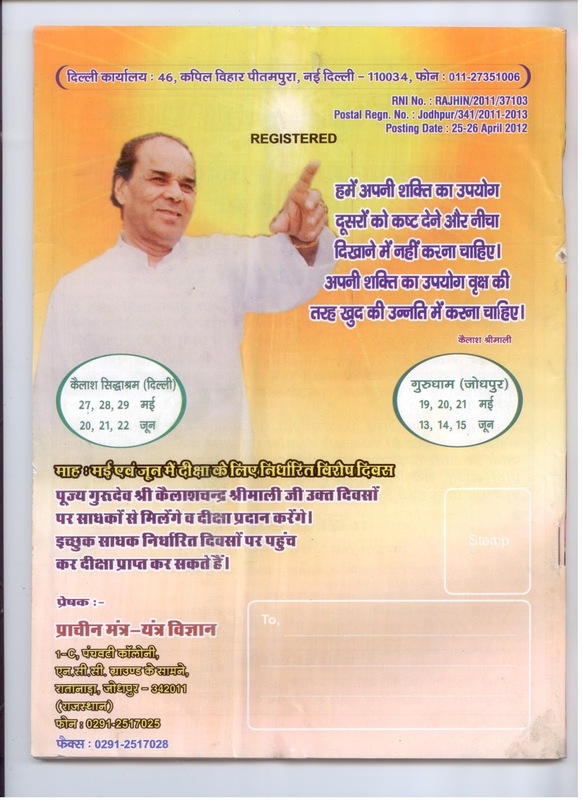 The "Pracheen Mantra Yantra Vigyan" Magazine is available in primarily Hindi language. 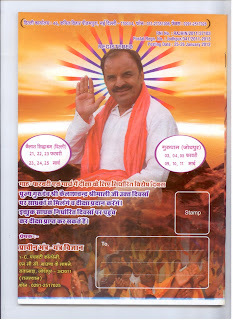 There is a small English section in each issue.